Today's guest post, a review of The Picky Eater Project 6 weeks to Happier, Healthier, Family Mealtimes, was written by Christine McPhail MSc RD. Full disclosure: I was given a review copy of the book by Dr. Muth. I work with parents, and picky eating is a common issue. Fortunately, there are some general recommendations that I can review such as following the division of responsibility in feeding, where parents are responsible for the what, when and where of feeding and children are responsible for whether they eat and how much they eat out of what parents offer. Within this, I ask parents to focus on neutrality when offering different foods, bridging from foods their family already enjoys, involving children in grocery shopping, growing food and cooking for buy-in and avoiding pressure in general to eat more or less of certain foods. The most important part of addressing picky eating with my clients is working on practical steps collaboratively with them. 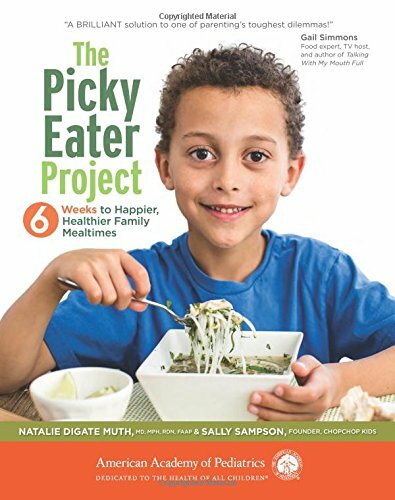 That’s where I have found the resources within The Picky Eater Project: 6 weeks to Happier, Healthier, Family Mealtimes by Natalie Digate Muth MD, MPH, RDN, FAAP and Sally Sampson from CHOPCHOP MAGAZINE to be very insightful and useful. It is a project. The book is very interactive and includes goal setting, action planning strategies, and ways to measure your progress at each stage of the project. Each section also uses to do/check lists. Picky eating is defined and explained and the book follows examples from real life families as they progress through the project. This shows families that it’s OK to stumble when they are trying to make changes and it allows them to see the recommendations translated into realistic outcomes. The concept of picky-free parenting allows parents to review their current behaviours around food to see if there is anything they could change in their behaviour that may be influencing their child’s picky eating behaviours. This also aligns well with learning about the Division of Responsibility in Feeding. There is a focus on changing your home food environment with sample pantry lists, snack lists, a how to use herbs and spices resource, recipes etc. which can be a useful tool for parents especially when they are tried and tested! Involving kids in the kitchen has its own section with a focus on age-appropriate kitchen tasks, tips for beginner chefs, meal ideas and recipes. This is so important for families to review and understand as we know that kids who participate in meal preparation are more likely to WANT to try new foods. Similarly, there is a section on involving kids in grocery shopping, growing foods, and visiting local farms with a focus on learning about food but also math and literacy skills too. It’s all buy-in and family involvement. Family meals are a primary focus of the picky eating project with tips on how to make them a priority, meal planning, meal time rules, and even packed lunch mix and match ideas. The project does not leave out all of the other factors and people that can either support or hinder your efforts to have your family eat a wider variety of foods. Those important people include peers, school staff, caregivers, grandparents etc. As the section is appropriately titled…it takes a village! To finish up the project, there is a section that addresses that behaviour change is hard! I think this is important for parents to understand but it’s equally important to for them to have tips on how to make changes stick. The focus is on starting small, using SMART goals, having a plan, anticipating problems, and involving your kids the whole way! The last section of the book discusses severe picky eating and when to seek more professional help. I was impressed with this because it identifies red flags for parents to watch out for so they know when they may need to incorporate health professionals into their journey. The only issue I had about the picky eating project was the risk associated with labelling your child as picky i.e. they live up to the expectation. On the other hand, with the family-focussed nature of the book the journey is not simply for the “picky” child, it’s for the whole family to expand their palette in an open and honest way that includes all family members. Christine McPhail MSc, RD is one of our Registered Dietitians at the Bariatric Medical Institute (though is moving on soon to work with the eating disorders team at Hopewell). 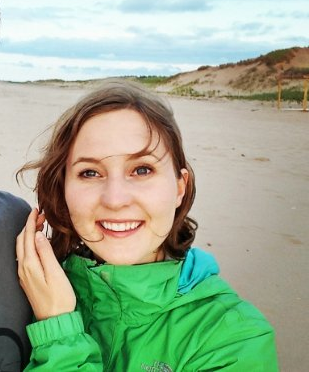 Christine has worked in academic, clinical and public health nutrition settings and has been fortunate to have worked on projects relating to food sustainability, food security, food policy and politics, childhood nutrition, body image, and school nutrition programs. She believes in the power of connecting with your food from farm to table. She feels fortunate to share this passion with her clients, as she helps them strengthen their relationship with food and learn more about nutrition.